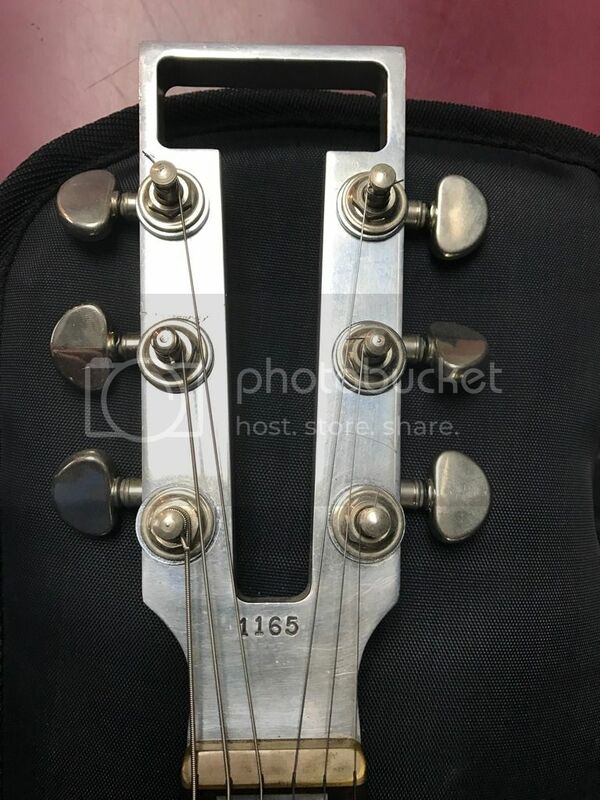 The owner of 1165 has asked me to go over the guitar, and if needed return it to original condition. 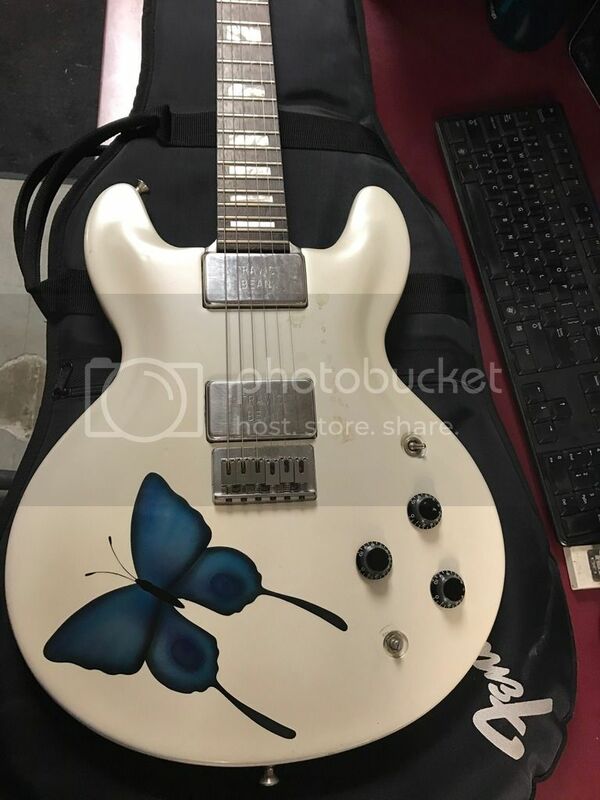 Is it possible that the butterfly was original? The pearl white paint appears to be original, from inspecting the control cavity. Any idea about the knobs, etc? My gut feeling is no on all counts. I'm not sure of the butterfly, of course, but it doesn't seem like something TB would do...custom job after the fact? Knobs do not look original. Same with pick-up selector switch. The interior has "Sembello" written on it. I wonder if this was Michael Sembello's second Bean. That's possible but still doesn't help with any answers unless you have a way to contact him direct! I considered buying his other TB 1000A when it was on eBay several years back. It had a factory installed coil tap, if I recall correctly. Maybe two taps.